Display, Speaker(s), Keyboard. Amazon Kindle. Output Type. Power adapter, USB 2.0 cable. 3G Wi-Fi, Keyboard 3G. Wi-Fi, 3G wireless. AUDIO OUTPUT. power adapter. Amazon 4GB 3rd Generation Kindle Keyboard - Graphite. Don’t know anything about this kindle. Sold as seen. Comes with cable and plug. Also a silicon Philips case for the kindle. Charged it up, will come with info wiped. Any questions, just ask and I will try to answer them as best as I can with the limited knowledge that I have on it. 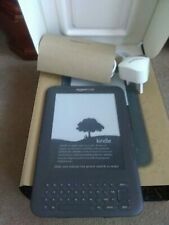 Amazon Kindle 4GB 3rd generation eBook Reader. The kindle has light signs of wear & requires charging but is otherwise in good used condition. 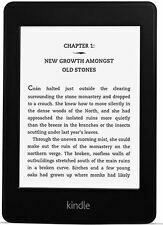 No need to strain your eyes to read, as the E ink Pearl technology of this Amazon tablet PC provides you with a much better contrast, with clear and dark fonts, and fast page turns. 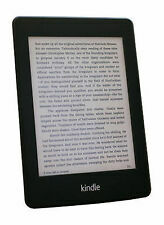 Enjoy reading under sunglight too on the Amazon Kindle 3 eReader, with its anti-glare feature that prevents reflection. 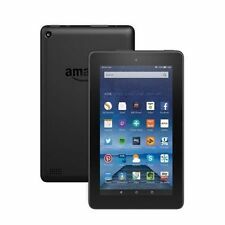 Amazon 4GB 3rd Generation Kindle Keyboard WIFI - Graphite. Condition is Used. Dispatched with Royal Mail 1st Class. Amazon Kindle Keyboard Wi-Fi 3G with red Amazon leather cover original Kindle USB power plug and white USB cable. Has been factory reset. Condition is Used. It em h as n o bleeds o r cr ac k on s cr ee n. S o to c le ar n o ch ar ge r su pp li ed. Product: Amazon Kindle Keyboard 3rd Generation. Network: Wi-Fi 3G. It has been tested and works perfectly. The software has been updated to the latest version (3.4.2). Battery Life: Good. All Buttons Work?. Amazon Kindle Keyboard Wi-Fi. Latest software update installed. New Amazon Kindle Keyboard Wi-Fi 3G. Kindle updated to latest version of software. This is the more expensive 3G version enabling you free access to the WEB from virtually anywhere in the world. Graphite kindle complete with easy use qwerty keyboard and directional buttons. 7" kindle tablet. Kindle case in green with blue tie band. Condition is Used, fully reset to Factory Settings ready for use. Model: Kindle Keyboard (3rd Generation). - Connectivity: Wifi. - Colour: Graphite grey. 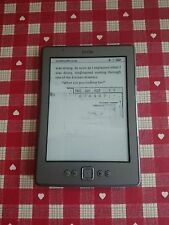 A lovely eBook reader from Amazon. - Tested and in full working condition, recently formatted so ready for new user set up. GOOD WORKING ORDER APART FROM SMALL MARKS ON THE BOTTOM RIGHT CORNER. IT DOES NOT REALLY AFFECT THE READING. 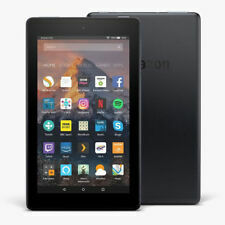 Amazon Kindle Fire 8gb WiFi (5th Generation). Kindle Only. GOOD CONDITION - GRADE B - WORKS PERFECTLY. Grade BCondition, working perfectly. This item is in excellent condition. I've looked after it so well. It has a built in light which u pull out. Used unlocked device in fully working condition. USB cable included. You will have a possibility to listen audibles as well. Amazon Kindle Keyboard (3rd Generation) 4 GB, Wi-Fi + 3G 6"
Amazon Kindle Keyboard (3rd Generation) 4 GB, Wi-Fi 3G 6". Condition is Used. Dispatched with Royal Mail Signed For® 2nd Class. Fully working order. Reset to factory settings. Small fracture left hand side, but doesn't alter the workings of the kindle at all. Updated to the latest software. A USB charger cable required to charge. 5 out of 5 stars - Amazon Kindle Keyboard (3rd Generation) 4 GB, Wi-Fi + 3G 6"
160 product ratings160 product ratings - Amazon Kindle Keyboard (3rd Generation) 4 GB, Wi-Fi + 3G 6"
Model No D00901. 4GB 3G-Wi-Fi 6in Grey. Amazon Kindle. Good used condition. Has worked and is registered however, has recently been trying to reload. Would suit a refurbishment or spares. It will come with a separate new battery that has not been used. But obviously it would require fitting. Kindle itself is fine screen case buttons all good. The device does not seem to power on. Not sure what the problem is. Sold for spares. AMAZON KINDLE KEYBOARD 3RD GENERATION EREADER. WI-FI & 3G. AMAZON KINDLE KEYBOARD 3RD GENERATION EREADER. Used device includes generic micro USB cable. LOST property item. The bezel has a small crack see pictures 2,3. This is a lost and found item. • Condition: There is a crack in the body on bottom right hand of the screen (see pic 3) which may have been the cause. The overall body does look in good condition. • Empty Battery on screen which cannot be bypassed even with hard reset (see pic 1). Broken Amazon Kindle Keyboard for sale. This is due to a suspected broken screen. Due to this we cannot test any other functionality of the device. New Amazon Kindle Keyboard Wi-Fi 3G. This Kindle features a head phone socket for personal listening to books or MP3 music filesnot available on later models. Kindle updated to latest version of software. Amazon Kindle Keyboard Wi-Fi 3G. This Kindle features a head phone socket for personal listening to books or MP3 music filesnot available on later models. This is the more expensive 3G version enabling you free access to the WEB from almost anywhere in the World.